The Community Action and Health Rights (CAHR) team comprising of the Programme Director, Research and Advocacy Director and Programme Officer of Centre for Health and Social Justice (CHSJ), with technical support from the Director, Dr Abhijit Das of CHSJ and in house web-design expertise worked on consolidating and standardization of the web-based platform on community monitoring. 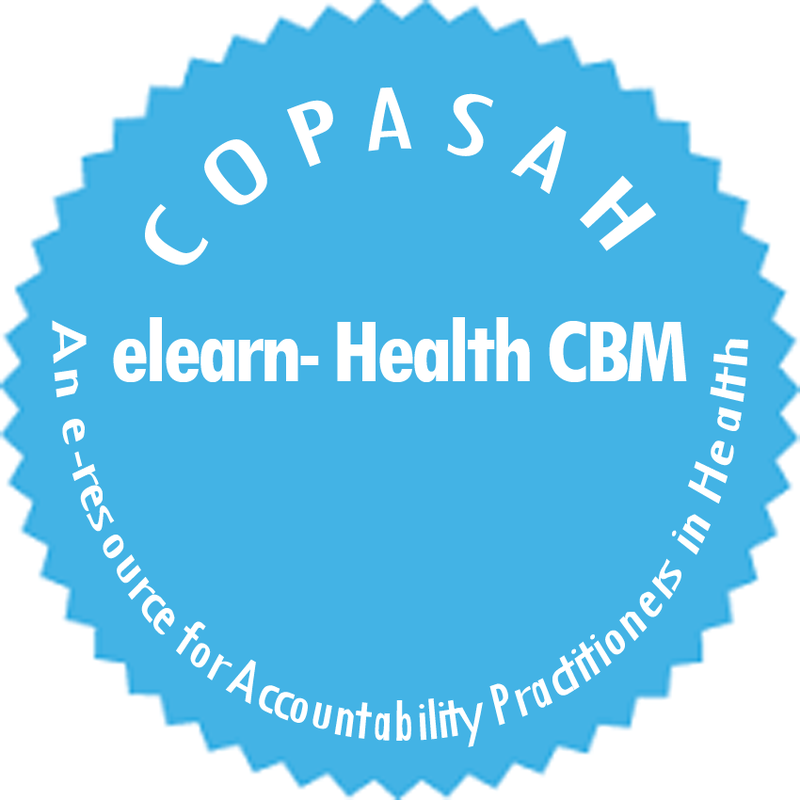 The design and content (resources) of the eLearn-HealthCBM resource on www.copasah.net has undergone an expert review and user’s feedback and based on the recommendations the virtual resource was re-designed. An independent technical expert was engaged for the review by CHSJ that is aimed at the critical appraisal of the learning resource from the perspective of social accountability practitioners with positive suggestions for improvement in the web-design, content and layout. The interactive virtual platform is developed to contribute to the overall knowledge building and sharing process, adding to the process of capacity building of practitioners of community monitoring. The content generation and pooling of various experience based content under a framework for accountability practice for health rights from the practitioners’ perspective is a first time initiative globally. 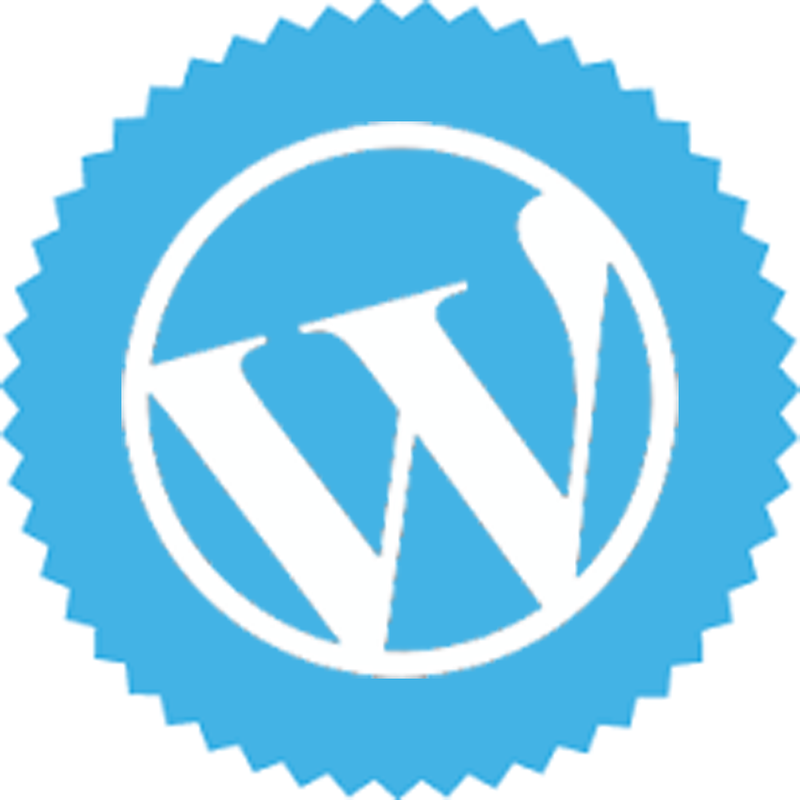 Module I: Concepts: Reflects the concept of community monitoring and its related components. Module II: Process: Is a step by step approach that explains the processes of CBM and policy review for identifying health entitlements and gaps etc. Module III: Practice: Outlines evidence building details on how community enquiry is conducted and how evidence is gathered using different tools and methods. Module IV: Advocacy: deliberates how organized, systematic and strategic processes can be used to increase the voice and access to quality health care services and towards changing existing power hierarchies. It also reflects the use of media in promoting health accountability. It provides pictorials and linkages to audio –visuals and to stories of change and cases stories that is evinced by illustrations of accountability practices from across the globe, linking stories on accountability practices published in the COPASAH newsletter, Communiqué. The resource was screened to over 120 grass root practitioners who participated in training workshops of allied projects conducted in seven states of India- Bihar, Chhattisgarh, Jharkhand, Madhya Pradesh, Odisha, Uttar Pradesh and West Bengal. It was also screened to nearly 50 practitioners and CSO staff from diverse accountability practices including that from the states of UP, Jharkhand, Odisha, Bihar, MP, Karnataka, Tamil Nadu, Rajasthan, Gujarat at Nagpur in Maharashtra (India ) on September 19, 2014. The practitioners reflected their eagerness to learn different CBM and accountability practices form the resource. Following this screening a sub-group on COPASAH Google group was also created to facilitate discussions among practitioners in local languages. This is referred to as the COPASAH India group. The eLearn Health CBM resource was screened for nearly 30 practitioners from six linguistic states of India including that of UP, MP, Karnataka, Gujarat, Tamil Nadu and Maharashtra. Practitioners gave their feedback on the e-learn CBM and reflected that although it was a wonderful initiative, it was in English with the pictures depicting Western characters. The practitioners reflected that it should be available in local languages. Taking into consideration the feedback more Indian context pictures were added to the eLearn-HealthCBM resource. 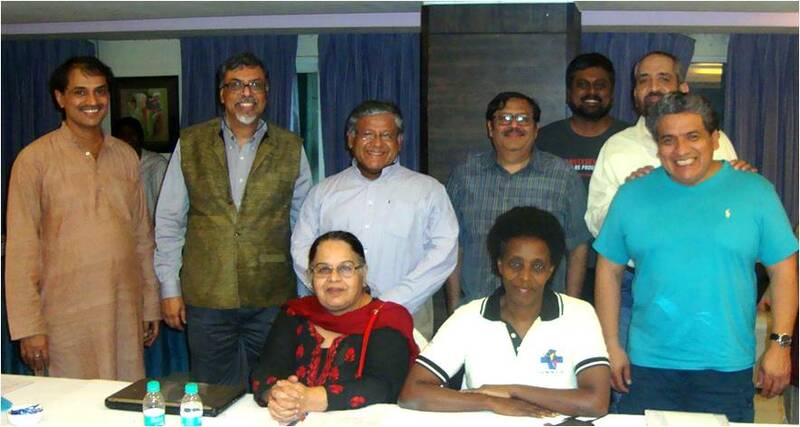 The COPASAH global Steering Committee members met in New Delhi, India from February 27 to March 1, 2015 to deliberate upon the commitments strengthen social accountability drives and reinforce existing hubs and explore new regional spaces and partners. The meet also witnessed the take up of the COPASAH global secretariat by the new convener, Abhijit Das of CHSJ. Strategic points for the coming two years were discussed by the SC members. It was mooted that the knowledge products would continue to outline the sharing and learning of accountability experiences with more elaborate and deep exploration through thematic papers and think pieces on social accountability and related nodes. 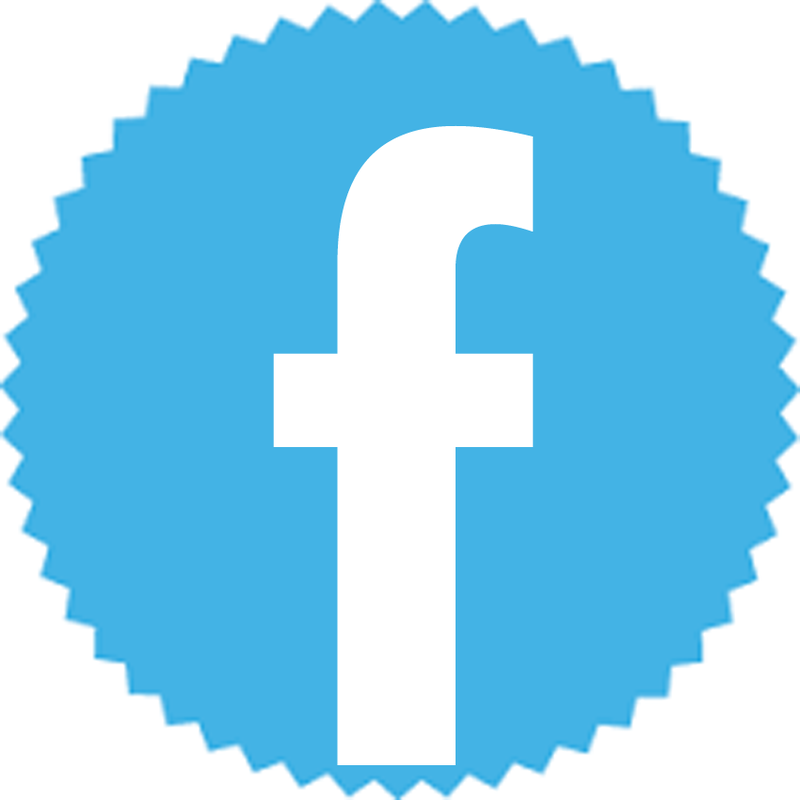 The article is compiled by COPASAH global secretariat team at Centre for Health and Social Justice, India.. The CHSJ team working on Social Accountability in Health supports the overall coordination and organisation of activities at the global level and in the South Asia region, maintaining and updating the COPASAH web platform and publication of the newsletter. It is supported by the steering committee of COPASAH.